How Should I Take Multivitamins? 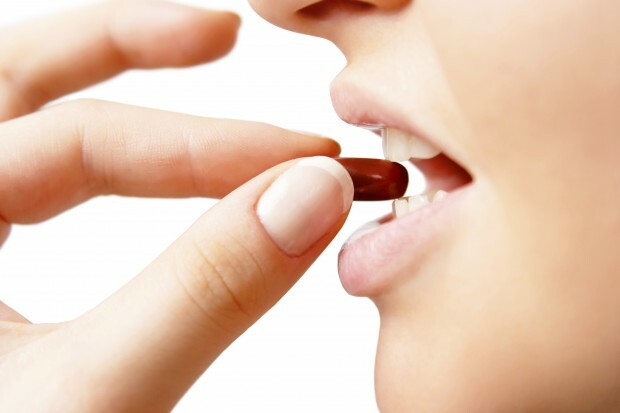 Home » Health » How Should I Take Multivitamins? When you start taking a multivitamin, be sure to read the label first. Only take the recommended dose and be sure to discuss your vitamin regime with your doctor, especially if you are taking other medicines as well. Once the Multivitamin is Passed it’s used by Date, Throw it Away. It’s best to take one brand at a time and not to multi-dose. The different products have varying formulations and so different amounts of similar micro-nutrients. Adding two different products together may mean you get too much of some minerals, and end up taking more than the recommended daily intake. Multivitamin products that also contain minerals are the ones to be most careful of. In large doses some minerals can cause unpleasant side effects, at their mildest, tummy upsets or headaches, at their worst, uneven heart rate or severe stomach irritation. If you are buying vitamins online from overseas, or having friends or family send you care packages, be extra careful as other countries have differing regulations as to safety and quantities of ingredients. In Australia, most vitamin and mineral blends are at safe standards, so as long as you don’t take too many, you should be within the acceptable levels. Multivitamins come in a range of forms. Traditionally, as a pill, but these days as a liquid or even a lozenge. Chewable tablets and effervescent tablets are also available. You can also buy multivitamins that include herbs for additional benefits. These may be Chinese herbs or Ayurvedic herbs. Chinese herbs can help support general wellness and vitality and are used to give the body a boost in a different way to straight vitamin supplementation. Liquid multivitamins can be added to a fruit juice or smoothie to make them easier to take. Some people choose to add powder supplements to a smoothie as well, though it is more common for people to do this with a protein supplement than a multivitamin supplement. Whey isolate or casseinate are the more common forms of protein supplement. There are also a number of other nutritional supplements that contain a range of vitamins and ingredients to offer a multi-benefit. Green powders containing spirulina or barley can often also have extracts of fruit and vegetables, or other seaweed boosters so that the body is getting a range of nutrients from the supplement. Essential fats such as omega 3, 6 and 9 also come as a complex form in some supplements these days, so you can consume them in the right ratios for maximum benefit. Eating a wide range of vegetables, seeds, grains and fruit is also a great way to get extra vitamins into the body. Seeds can be a good source of minerals, while coloured fruit and vegetables such as beetroot, sweet potato, pumpkin, berries and asparagus have some additional phytonutrients that help with cell repair and ageing. Try to eat at least 100 different foods in a week – if you take on the challenge you’ll find your diet suddenly gets a lot more interesting and probably includes a much wider range of vegetables! Before starting a new eating regime or taking high doses of vitamins check with your doctor or naturopath, especially if you have a chronic condition and are taking a pharmaceutical medicine. Katherine West is a health freak and freelance writer who in 2003 studied for a Diploma of Nutrition. She is also into yoga and pilates. Preparing For Knee Replacement Surgery Each year thousands of Americans undergo the knife to correct parts of the body. Do The Deli: Supporting Small Town Grocery Stores For Quality Foods and Produce Deli meats and cheeses were once the quintessential food staples of picnics and lunchboxes.